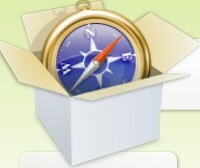 Computerworld had a review up Friday on the latest build of Apple’s Safari browser, the development version “WebKit” . Like Firefox builds these are evaluation/ testing builds so can be prone to bugs, but like Firefox what you see in these builds is usually what’s coming to the browser itself some time into the future. Computerworld said it was quick, so I tested it. They weren’t lying. There is no other way to say it. Holy cow is this thing fast! I am currently testing Webkit build r30090 against standard Leopard Safari 3.04. This unoptimized WebKit build version is running circles around the standard Safari browser. It isn’t even close. Tests mean nothing more than numbers on a screen to me, it’s the use that counts, and to say that this brings an entirely different experience speed wise to general websites is to understate the difference. It has to be seen to be believed. I’m not sure whether it’s as quick on Windows, but if it’s even half as quick again it’s going to be good. Safari doesn’t have the features, or more importantly the plugins and addons Firefox has so many will stick with Firefox, but the Webkit lifts the bar that much higher in terms of speed that this could be the year Apple finally makes a dent in the browser space. And if enough people switch we might start to see more in the way of addons during the year. The current version of Webkit isn’t recommeded for everyone; as a developer build it’s bound to have bugs (although I haven’t hit any yet) but if you’re either brave or want to be on the cutting edge, download it and give it a go.